I have an Engel 320 in good condition. 60x21.5x22"
Not really I’ll be there in a few weeks. Have you thought about something like this? 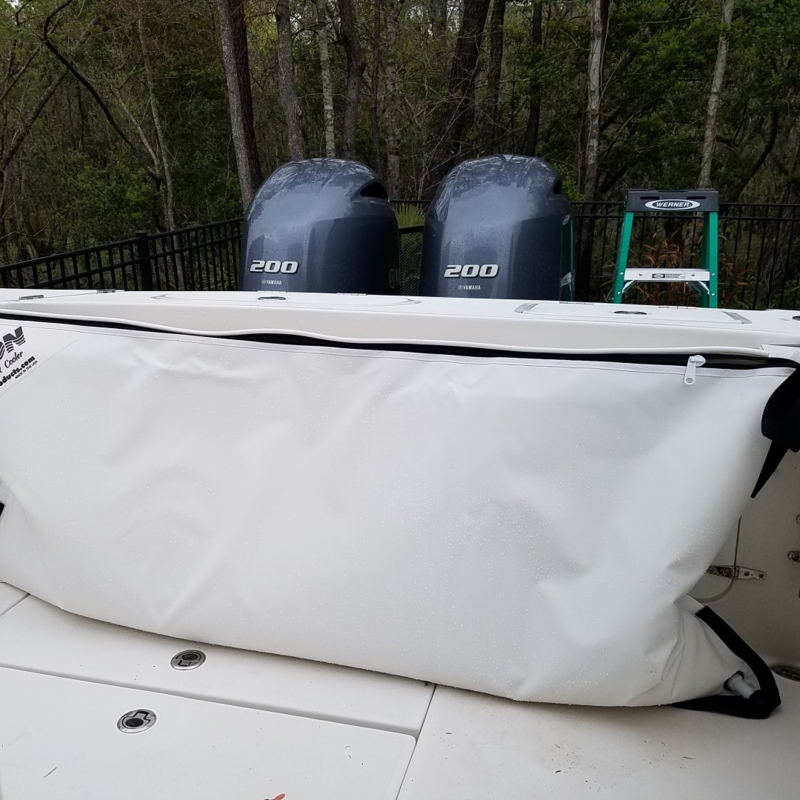 I recently added this on my boat. Last edited by aah924; 04-15-2019 at 05:37 AM. Just call John, directly and he will make whatever you want, and also gives a THT discount. He’s also making me an insulated bag to fit into my forward console cooler to keep ice longer. I actually have two canyons. Double sword bag and a smaller one. Havent really used them for anything other than sword fishing. How easy is it to put freshly gaffed wahoo and dolphin in them? I guess im looking for the cooler to ask function as a kill box. Im mounting mine, this week, with the strip that was sewn in along the top on the back of he bag. 100% use as a kill bag and Ill keep clean ice in the box in the deck. 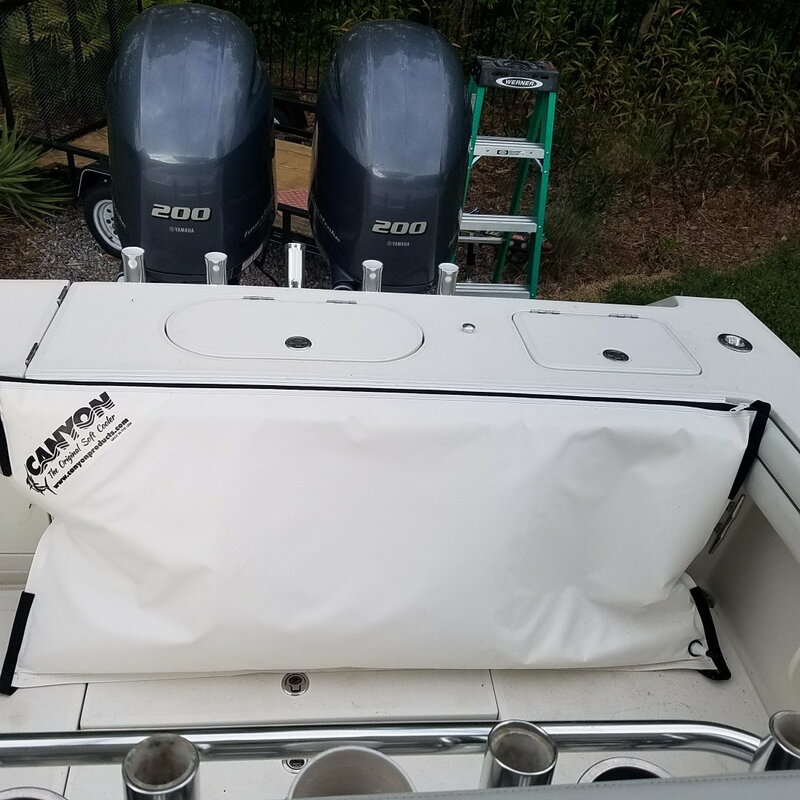 Finally properly installed, along with a new transom rod holder, thanks to Palmetto Trooper! Last edited by aah924; 04-19-2019 at 06:43 AM.